What is your move size ? Do you have a date in mind ? Offering weekly part load removal services to and from Spain and express van option, with a 1 to 2 day delivery time, you can be sure that we have the service to meet your removal requirements and at the right cost. Having offered professional relocation assistance, to families moving to Spain for over 20 years, we have the staff and vehicles in place to meet all removal and storage demands. Having storage in our London, Barcelona and Malaga depot makes it easy to service clients moving from Spain to England and also from Spain to any European country. We are equipped with a world class fleet, latest tracking technology and a large network of partners all around Europe to make moving a truly exhilarating experience for families and businesses. Please do click for a quote. The main considerations about moving to Spain and the financial cost involved in the move, are the size of the removal, the destination or collection location and the speed with which you need your goods to be moved. The majority of removals to and from Spain are either done on a part load basis, whereby you share transport with other families moving in your direction, or for those that are in need of an urgent delivery then a sole use van or lorry can sometimes be preferred. Offering weekly runs to the South coast of Spain, to and from our Malaga depot, we have found this option to be the most popular with people looking to move when on a tight budget. When moving as a part load you need to be fairly flexible on dates, as you will be sharing a run with perhaps 10 other people. Some of the families involved in your run maybe moving to places such as Santander, Barcelona or Madrid on the way Southbound, or perhaps to areas such as Alicante or Valenica, whilst travelling down the East coast. Subject to the direction in which these groupage trailers are running, this can effect the running times from door to door. Most part load deliveries will be delivered within about 7 – 10 days, but it is worth checking on the schedule at the time of booking. Whilst deliveries to Estepona, Malaga and the Almeria areas will usually be on smaller vehicles, that run from the storage depot, it is important that you have very good access for a 19metre road train on part load services. This is especially the case when moving to or from Northern Spain, when the collections would almost certainly be on the International trailer. It is also very important to remember that parking needs to be good for a truck of this size. If you have any doubt about dates and access, please ensure that you share all the information about your collection and delivery points with your removal coordinator. Should you elect the part load option, you can be sure that you will receive the highest service levels, with fully trained removal crews on board all of our runs. We will have blankets and protectors for all of your furniture and large items and can offer dis-assembly, reassembly and full packing services. If you prefer to pack your own small items that is equally o.k. If this option is better for you we can always send you packing materials up front, if you prefer to pack your own personal belongings. Subject to your loading or unloading point, we can offer a local van to do a trans ship from the main international trailer to the final delivery point, therefore you can always take advantage of the part load option, whilst overcoming the access issues with local transport on arrival. If you were to move as a part load, then you would be charged per cubic foot or cubic metre, based on the space you take on the truck. 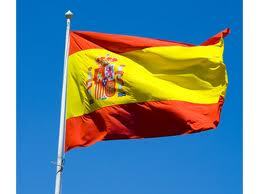 The cost of removals to Spain is around Â£2 to Â£2.75 per cubic foot, subject to the area you are moving from and to. A typical 3 bed house is around 1000 cu ft, therefore a 3 bed house move from and to Spain would be around Â£2000 to Â£2750. This is a rough guide, but please do email for a written quotation. EXPRESS REMOVAL SERVICES ÂNot everybody has good access for a large wagon, for example those clients moving to central Madrid, therefore we also offer dedicated van services. Some clients need specific delivery dates for collection and delivery also, therefore having your own van or truck may be the best option for you. Express van services also means you get dedicated delivery dates, you have very little worry over access to your house and you have a van to yourself, with no other items apart from yours in the vehicle. Dedicated van options usually cost in the region of around Â£1.25 per loaded mile for a luton sized van. When moving to Northern Spain, such as Bilbao or anywhere around the France/Spain border a sole use van can actually be cheaper than moving on a part load basis, as you are being charged per mile, as opposed to per cubic foot. The further South you go in Spain it can end up being more cost to have a van of your own. WAREHOUSING ÂOffering storage facilities in Manchester, London and Malaga, you can be sure that we can meet your collection and delivery dates, along with offering long term storage if required. We can collect your goods to our local depot, store and deliver at a later date. If storage is required it costs around Â£25 per week for a typical 3 bed house move. It is important to check on the full cost, as handling charges can be added in some instances. Where possible we will offer free storage periods and handling (Subject to storage requirements). 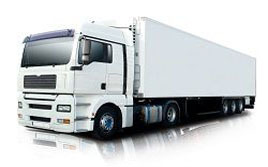 INSURANCE ÂFull removal insurance costs 2% of the goods’ value, however for removals of more than 30000, then the insurance costs can be negotiated down. When relocated to Spain insurance is optional, you do not have to take insurance. CONTAINER SHIPPING TO SPAIN ÂAlthough not as popular, when shipping to mainland Spain, container shipping to Spain can be a good option when sending personal effects to the Spanish Islands, such as the Balearic Islands. Removals to Majorca, Ibiza and Menorca can be very expensive, when sending goods on a removal basis, with costs growing to around Â£4 per cubic foot. However, you can get a full 1000 cubic foot of goods on a self load container to Majorca, for example, for around Â£2500, bringing the removal cost back down to around Â£2.50 per cubic foot. EXPORT WRAPPING AND PACKING ÂShould you decide to move home, using a part load groupage service, then we can pack smalls if required, but blanket protection, along with mattress bags and sofa bags is ample for large items of furniture. We will off course have all protection for these items as standard. If you decide on a container shipping option to Spain, then all items will need to be fully export wrapped and packed. We can offer a full wrapping option, along with packing also, however the cost of this is subject to the volume required. Export wrapping and packing costs around Â£1.25 per cubic foot. Spain is a developed country that possesses one of the largest economies in the world and as of 2014 has ranked as high as 24th on the worldwide quality of life index rating. Spain is an incredible country when it comes to the culture that is on offer. There are some fantastic pieces of architecture available such as Sagrada Famlia, Park Gell and Tarragona. Tourism is a massive contributor to Spain’s national economic life. It is an incredibly popular country due to its various festivals, beaches, resorts, cuisines, night-life and history. It is the 4th most visited country in the world, unsurprising considering what it offers in terms of both economic growth and tourist enjoyment. f any of what Spain offers seems appealing enough to you to warrant wishing to relocate there, then you need to make sure you are sufficiently prepared. Deciding to move is always an important decision that requires every factor be carefully thought through. It can also be difficult to manage for individuals and small businesses without some professional help. Luckily for you, that kind of expert support is exactly what you can expect if you decide to work with us here at European Removal Services. Over the years we have provided our services to a variety of customers with a range of needs. We can deliver your goods to pretty much anywhere in Europe, so doing so for Spain is no problem at all. 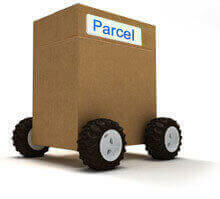 We can also take items from almost any location in the UK to their destination. As you can see, we are fully capable of taking care of your relocation regardless of the circumstances. You can feel confident enough to put your trust in us, since we have been working in this industry for more than 20 years now, consistently providing top quality removals. As discussed, we can offer next day delivery to Northern Spain, including the beautiful cities of of Madrid and Barcelona. Dedicated vans to more Southern areas, such as Malaga and Alicante are 48 hour delivery. Along with dedicated vans to and from Spain, we can also offer weekly part load services to all areas of Spain, along with collections in Spain. We have a full list of our services available for your viewing on the appropriately titled page, so make sure you go on over and check that out if you’d like to know the extent of what we have available. We are fully aware that something as grand as moving countries can be a difficult and stressful time. However, we make it our aim to ensure it as smooth and as stress free as possible. Please feel free to call for a chat or hit the call back request button and our sales team can call you to discuss your removal options. If you prefer to email or hit the quick quote tab, at the top of this page, then we will be more than happy to email you back with a speedy reply, based on the information you provide. moving to Ireland, moving to Switzerland and moving to Germany, yet have the advantage of specified removal dates and speedy delivery. Having said that, we have completed many designated van and wagon moves to further locations such as the Greek Islands, Norway and Bulgaria. Smaller vans can be good option for remote deliveries, where access is poor and deliveries to city center locations, where parking can be difficult. We can offer moves from small van and man style moves to full house moves on designated wagons, with a crew to undertake all wrapping, packing, loading and unloading. Should you have an element of flexibility on your move dates, then Part load or designated removal truckwe can offer you part load removal services to and from all European destinations, whereby you can share a removal vehicle with other clients. We run part load removal services to all European countries, with weekly part load runs to Norway, Spain, Eastern Europe, Greece, Italy and Ireland. These weekly runs take us through all our other European removal destinations, such as France, Germany, Holland, Denmark, Sweden, Portugal and many more. 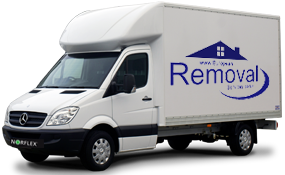 Our part load European removals trucks have a crew on board to take care of all loading and unloading and can offer a full packing service if required. Should you just have a few boxes and bags we can offer you a very economical baggage service. Whether you decide to pack your own goods or you require packing, we can get your small part load removals to or from any European destination. Container shipping, by sea, can prove to be very cost effective with full house removals to Europe, when shipping to destinations such as the Greek Islands, Cyprus, Majorca, Malta and the more distant removal destination or collection points such as Latvia, Lithuania, Finland and Bulgaria. We can offer self load container options, if you are on a tight budget, or can offer full origin and destination service, including export wrapping, packing, loading, unloading, unwrapping and removal of all debris. 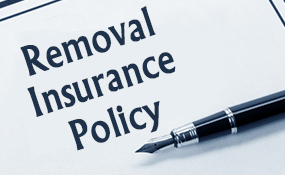 European Removal Services can offer you full insurance on your goods being removed, current insurance rates will be given to you on your quotation, however 2% of your goods value is typical of the cost of removal insurance. Offering storage at various European cities, European Removal Services can collect your goods to one of our stores and look after your goods until such time that you can take delivery. 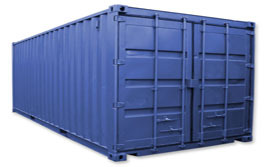 We can offer short and long term storage, in a safe and secure storage facility. Should you require packing and or export wrapping for your large fragile or polished items, European Removal Services’ staff will ensure that all of your goods are well protected in transit. With professional, friendly and experienced removal crews you can be certain that your goods are well protected and looked after. Crating can be arranged for high value items, fragile items or antiques, where required. There are many countries within Europe that are not EU members. When moving to non EU countries, rest assured that our expert removals team has the knowledge and experience to complete all customs work on your behalf. We have been moving families to countries such as Switzerland, Norway, Andorra and other smaller principalities for many years, therefore all will be taken care of for you, or advise given where required. European Removal Services is a UK based specialist international and European removal company dedicated to offering its clients a first class service at an affordable price.